Is Chris Paul the second-best player in the NBA? Kevin Durant has held onto that title for a while now, even if he and the rest of the NBA are well below LeBron James at the moment. But his grip on the No. 2 spot isn't just slipping away; it's gone. The combination of Durant struggling without Russell Westbrook and Paul finally being unleashed has resulted in a changing of the forward guard. Paul has just been that good, as he's taken his game to an entirely new level in 2013-14. That's not something that will change anytime soon, as a wealth of evidence points toward CP3 producing the best season of his already impressive career. Forget about LeBron. Don't worry about Durant. Derrick Rose? Psh. The best player in the NBA during the early portion of the 2013-14 campaign has been CP3, and it really hasn't even been close. While he might not repeatedly approach those historic 42 points and 15 assists that he dropped against the Golden State Warriors, he's been dominating each and every game in jaw-dropping fashion. Through four outings, Paul is averaging an insane 26.5 points, 3.8 rebounds, 13.3 assists and 3.3 steals per contest. He's second in scoring and first in dimes, making him a strong early-season candidate to do what no one has done since Nate "Tiny" Archibald back in 1972-73: lead the league in scoring and assists. Right now—and granted, we're working with an incredibly small sample size—Durant is the only player standing in Paul's way of making history, averaging just a smidgen more in the points column. But has CP3 done this just because he's jacking up a lot of shots? Not at all, as he's been the model of efficiency. He's averaging only 3.0 turnovers per outing, which, while a higher number than we're used to seeing from him, is only natural because he's been so heavily involved in the offense. Meanwhile, Paul is shooting an insane 51.7 percent from the field, 37.5 percent from downtown and 97.4 percent at the charity stripe. It all adds up to a league-best PER of 37.8. To put that in perspective, Basketball-Reference shows that Anthony Davis is in the No. 2 spot with a 32.1 PER, and Carlos Boozer (30), C.J. Miles (29), Kevin Love (29), Paul George (28.9) and Zaza Pachulia (27.8) are the only other players within 10. Now granted, we're obviously working with limited data when Boozer, Miles and Pachulia are showing up, but the point still stands. Paul has been completely and utterly dominant. But why? A large part of the credit for such a successful start must go to Doc Rivers, for multiple reasons. First, he's been willing to let the Clippers run at a remarkably fast pace thus far, which goes against every fiber of his being. Rivers has always been one of those coaches who likes to grind it out and let the half-court set nearly be the sole source of offense, but he's fought to corral those instincts thus far. Lob City may be dead, but the lobs in the Staples Center aren't going to grind to a halt anytime soon. I'll talk more about pace later, but this is more than the Clippers just keeping up with up-tempo teams like the Los Angeles Lakers and Golden State Warriors. It's a concerted effort by Rivers to maximize the talent of the personnel he's working with. Secondly, Rivers has always been willing to let his point guard take control. We saw that over the years he spent coaching Rajon Rondo for the Boston Celtics. Once it was clear that Rondo was a truly elite point guard, the gravelly voiced head coach quickly handed over the reins of the offense. Rondo thrived getting to maintain control of the ball and function as a true floor general, and now we're seeing that love affair with point guards pop up once more, just on the other side of the country. Remember, Rivers was a point guard back during his playing days. As reported by Yahoo! Sports' Marc J. Spears, Rivers immediately let CP3 know what he thought as soon as the two met. "I'm dumb enough or smart enough to know not to get in the way of that [Paul's offensive genius]," the head coach said back at the end of September. "We can help him, too. We want to make things easier for him, especially in transition offensively. Defensively, I know I can help him." Paul flourished in New Orleans under a similarly tough approach from Byron Scott. And honestly, at this point, he needs the motivation. He's cemented himself as the best point guard in the league to a degree where he has little left to accomplish on a personal level. Well, it's worked so far. Rivers has been content to let Paul do his thing on offense, but he's placed more of an emphasis on getting into transition quickly. Plus, CP3's knack for jumping passing lanes looks better than ever. Draw causation from correlation as you please. In the past, Paul has been just a part of the LAC offense. No longer. Yes, Paul has been more involved than ever. He's finishing plays with more frequency, calling his own number and doing terrible things to opposing point guards. He's also distributing the ball with remarkable frequency. And yet there's more to it than the possessions in which he ends the play. Thanks to the SportVU data compiled by NBA.com, we have access to a new breed of stats, and while sample-size warnings are fully in effect, they still explain just how involved CP3 really has been. Paul has been quite involved off the dribble, even more so than normal. Thus far, only Stephen Curry, Damian Lillard and Jrue Holiday are taking more pull-up shots per game (defined by shooting a jumper from at least 10 feet after dribbling at least once). The vast majority of CP3's pull-ups have come inside the three-point arc, which shows just how much he's been penetrating and then terrifying defenses with his mid-range game. But it goes beyond that. Let's take a look at his passing. Paul has averaged 82 passes per game, and that's also the high mark in the NBA. He hasn't just been the creator of offense for Los Angeles but also the primary hub. Everything goes through him, even if there's plenty more developing before a shot is taken. SportVU also tracks secondary assists, which we've commonly referred to as "hockey assists." Only seven players in the NBA have earned more thus far, and that's helped CP3 create a league-high (among players logging more than 20 minutes per game) 40.4 points off assists per 48 minutes. It's just not even close. Paul's passes have been far more effective than anyone else's, although it also helps that his teammates are both quite adept at getting open and fit his playing style perfectly. Blake Griffin has played fantastic basketball, DeAndre Jordan is a tremendous alley-oop option and the roster is brimming with quality three-point shooters. However, nothing shows the increased involvement better than the number of times Paul touches the ball during a game. According to NBA.com, he's made contact with the rock 107.5 times per contest, which is 12.8 times more per game than any other player in the league. To put that in perspective, the difference between Kemba Walker (No. 2 in the league at 94.7 touches per game) and Jeff Teague (No. 15 at 81.3) is about as big. There's dominating the ball, and then there's whatever CP3 is doing. Part of that also stems from the pace that the Clippers are using. The basic principle here is that a dominant offensive team should be trying to maximize the number of possessions that it gets to enjoy. That's exactly what's happened so far, and if the offense continues to develop in such fashion, Paul will keep putting up these insane numbers. Let's also remember that we've seen this version of the floor general before. He hasn't shown up for full games, nor has he maintained that level of dominance for such a lengthy stretch. But he's existed. That's right. We're looking at fourth-quarter, crunch-time Chris Paul unleashed for a full 35.8 minutes per game. 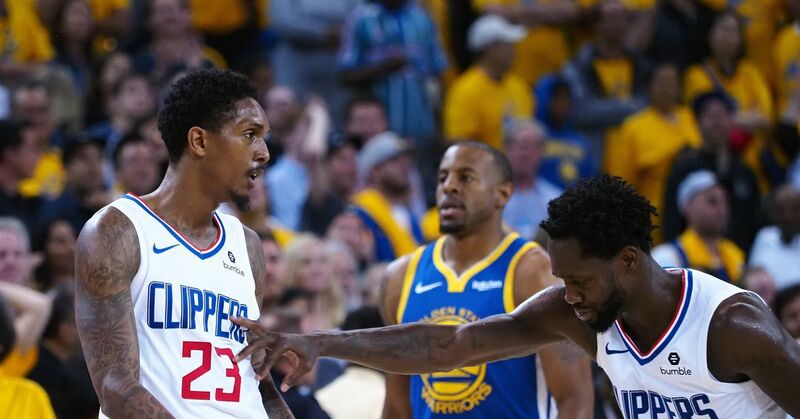 Throughout his Clippers career, the point guard has been content to sit back and distribute throughout the first three quarters of a close game. However, if a game is close in the fourth quarter, he changes his playing style and takes on much more of an aggressive, attacking mentality. That's how Paul has played every time he's stepped on the court in 2013-14. If he continues to assert himself as the clear-cut No. 1 option on the floor at all times, then the Clippers are for real. Like, No. 1 seed in the Western Conference and true championship contenders level of "for real." CP3 has been the best point guard in the league for a while now, but there was some doubt about whether or not he could retain the crown against a slew of competitors this year. Derrick Rose, Russell Westbrook, Tony Parker, Kyrie Irving and Stephen Curry—among others—were supposed to be coming for the unofficial floor-general belt.